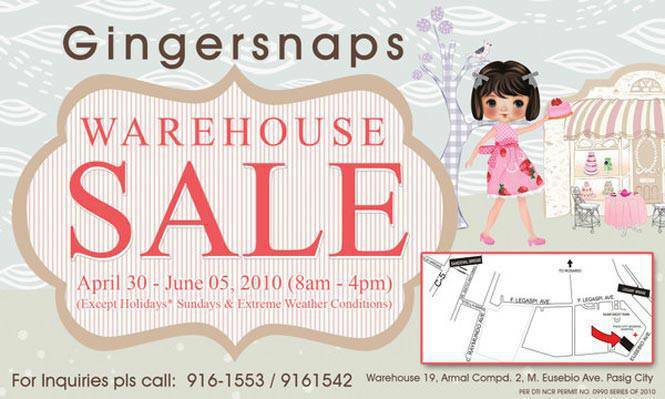 Visit the Gingersnaps warehouse in Pasig City to get great deals for kids' clothes and more. Want your kids to always look at his or her best when it comes to their clothes? Then visit the Gingersnaps warehouse in Warehouse 19, Amal Campad, M. Eusebio Ave. in Pasig City to get amazing deals for children's clothing and more. Call (02) 916-1553 or (02) 916-1542 for more details.